Taking Steps to Fly is a showcase for young choreographers, organized and presented by Dance Nova Scotia and Kinetic Studio. Dance students are encouraged to create a work in any dance form. The work can be choreographed by one person or by a collective (2 or more). The work can be created as a solo or group performance. Information brochure, applications and waivers can be downloaded from the links below. Application deadline is Friday, January 11, 2019. The Taking Steps to Fly showcase will be presented on Sunday March 31, 2019 at the McInnes Room, Dalhousie Student Union Building. in Halifax. 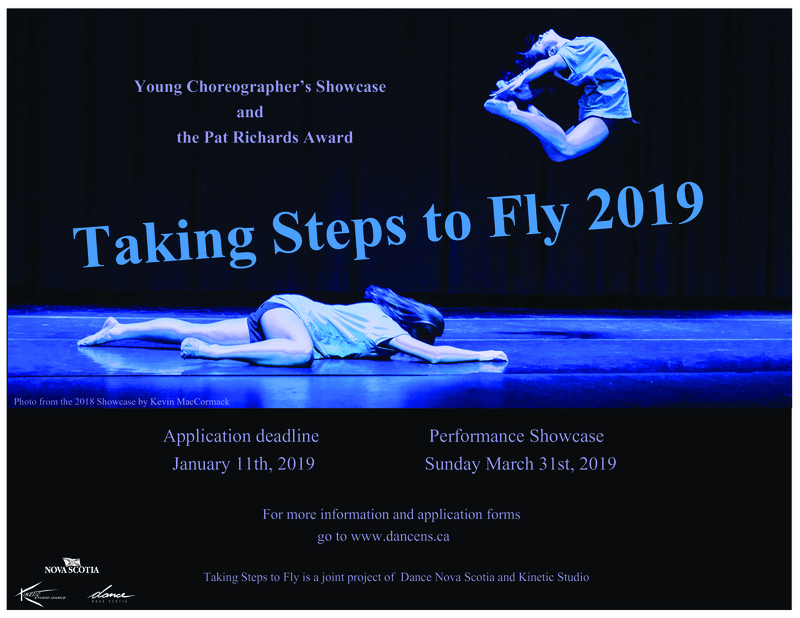 Taking Steps to Fly Brochure 2019 (PDF) - Click here for more information about the Taking Steps to Fly program. Taking Steps to Fly 2019 Individual Application Form (PDF) - PDF form to print and fill out manually. Taking Steps to Fly 2019 Individual Application Form (Word document) - Fillable Word document to download, fill out and email. Taking Steps to Fly 2019 Collective Creation Application Form (PDF) - PDF form to print and fill out manually. Taking Steps to Fly 2019 Collective Creation Application Form (Word document) - Fillable Word document to download, fill out and email. 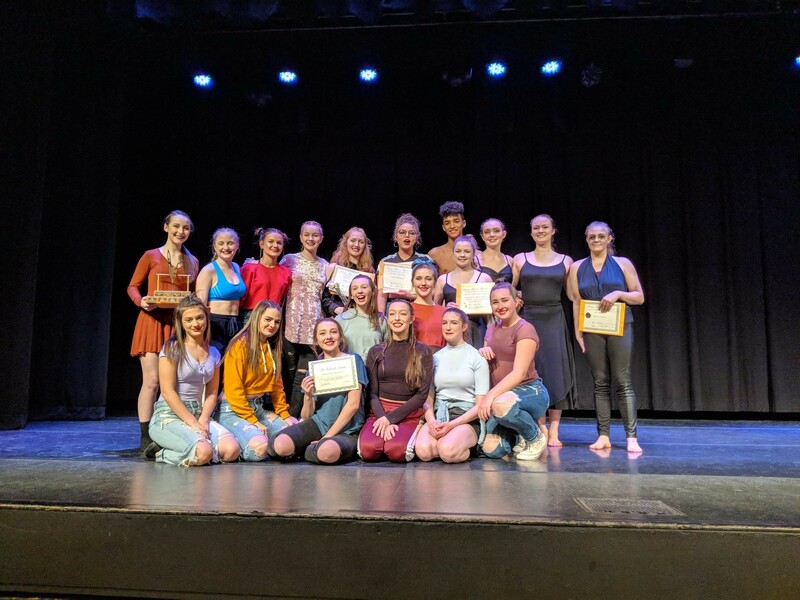 Choreographer's Waiver 2019 (PDF)- All choreographers need to print and sign this waiver. Dancers Waiver 2019 (PDF) - A separate copy of this waiver must be signed and submitted for every dancer performing in the work. Pat Richards Award Application 2019- Those who are applying for the Pat Richards Award must complete this form in addition to the Taking Steps to Fly application. Please download and print this application. The completed form must be sent by postal mail. If you have any problems with the application forms, please email your questions to office@dancens.ca.